Last week I touched on how fantastic it is to find a great food and wine match, so following that theme, I thought I would introduce you to the incredibly versatile Pinot Gris - my go to food wine. Also know as Pinot Grigio (usually when grown in Italy), this grape normally has a greyish-blue fruit, hence its name (gris meaning "grey" in French) but the wines produced from this vary in colour from a deep golden yellow to copper and even a light shade of pink. An aromatic white, it usually has a touch of sweetness, making it pair with an entirely different range of foods from Pinot Grigio. Born in Alsace where it’s often matched with pâté and creamy sauces, its new world versions from New Zealand and Australia pair particularly well with smoked and spicy foods such as Thai Green Curry, Spicy Indian Dal, Thai fishcakes, Indonesian satay dishes or smoky seared scallops. This Pinot Gris is a full, heady, rich and lush wine with a great depth which is balanced by a crisp acidity that gives structure and longevity. The Trimbach style of wine is one of finesse, elegance, and amazing concentration, all packed into the trademark Alsace flute bottle. Though techincally dry, the long finish exudes a sweetness making it excellent with all fish but especially salmon - try roasted salmon with honey-glazed fennel. This off-dry example treads the fine line between the Alsatian and Italian style, nicely balanced and perfumed with honeysuckle and peach. Lifted by acidity and a hint of natural spritz, this beauty from Marlborough wine legend Brent Marris of the Marisco Vineyards winery is delicious on its own but a brilliantly versatile food wine to boot. Try with grilled prawns, white meats or creamy cheeses. Brent's food match is roast chicken wrapped in pancetta with a peach, couscous and pinenut stuffing served with crispy garlic potatoes. (Majestic's Grape to Glass, Summer 2013) There is a minimum 6 bottle purchase, but delivery for online purchases is free is you spend over £40! 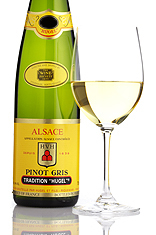 Made by Hugel et Fils (now run by the marvellous characters Etienne and Marc), one of the longest established Alsace houses as well as being the most famous, this is an exemplary dry and rich pinot gris that combines body with elegance. 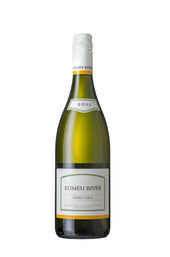 Fruit-driven and refreshingly scented with white peach and almond blossom, this soft, dry wine has a succulent richness, and a very long, ripe fruit finish. Try with crayfish or lobster with a spicy sauce, lamb curry, game terrine or duck foie gras. Another great classic from Alsace, again, all packed into the trademark flute bottle. You do need to be a member to order from The Wine Society, but at just £40 for a lifetime membership and £10 credit as a new member, it's well worth it! Have you tried any other Pinot Gris you think is worthy of a mention? Let us know - we're always willing to try something new!